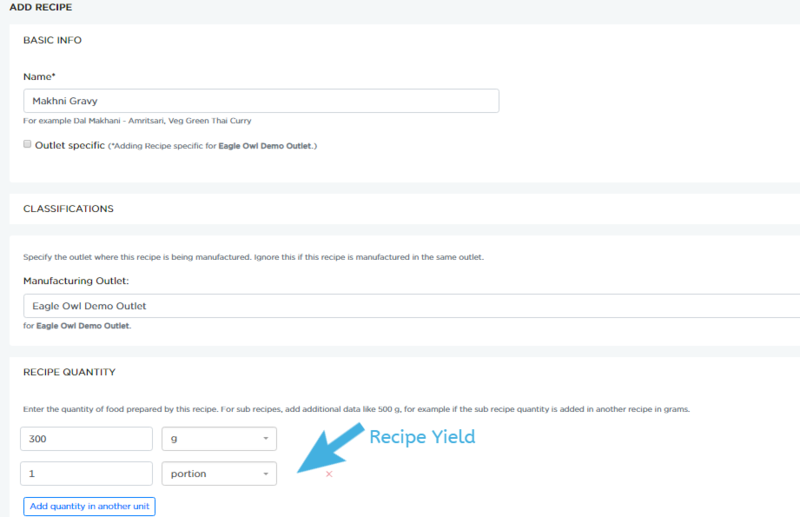 Multiple yields of recipes can be added in recipes page, as can be seen in example 1 for food sub recipe below. This is required to accurately cost the recipe when different units of this recipe are used and define conversion from one unit to another. For recipes that are sold directly, this will typically be in portions. The above sub recipe "Makhni Gravy" can now be used in Kg/g in main recipes or also in portions. This means that specific sub recipe&apos;s 1 portion is equal to 300 g.
Liquors are usually sold in ml - small or large. Here, we say that this recipe yields 1 bottle of a specific liquor which is 750 ml. Since liquors is sold in &apos;ml&apos;, conversion from bottle to &apos;ml&apos; is required, without which system cannot compute the cost when sold in &apos;ml&apos;. 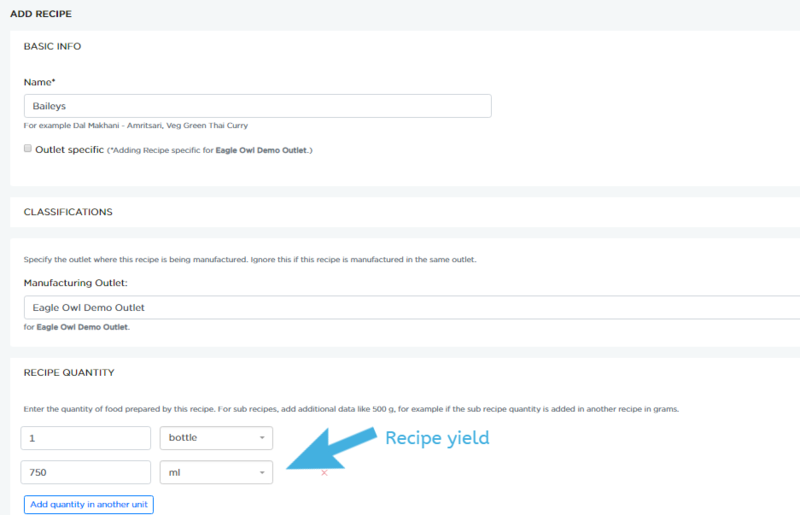 As shown in below example, mentioned yields of the food and liquor recipes are automatically added to the SETTINGS -> CONVERSIONS page by the system.